The International Veterinary Acupuncture Society defines Acupuncture as the insertion of needles into specific points on the body to produce a healing response. Each acupuncture point has specific actions when stimulated. This technique has been used in veterinary practice in China for thousands of years to treat many ailments. The Chinese also use acupuncture as preventative medicine. 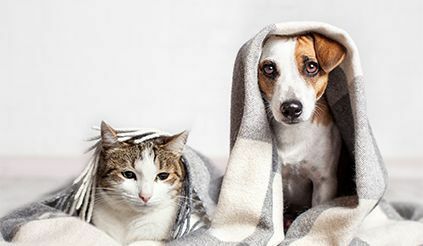 Acupuncture is used all around the world, either along or in conjunction with Western medicine, to treat a wide variety of conditions in every species of animal. 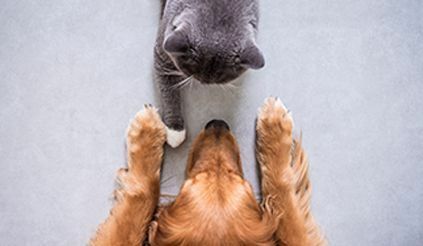 Clinical research has been conducted showing positive results in the treatment of both animals and humans, and the use of acupuncture is increasing. Acupuncture will not cure every condition, but it can work very well when it is indicated. 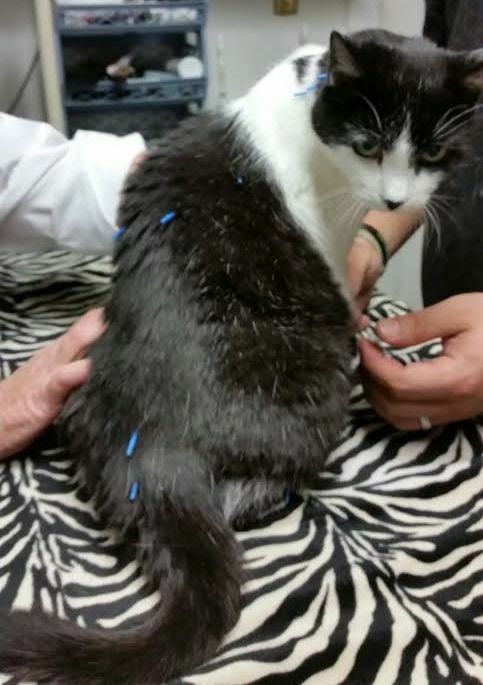 "On October 8th, we brought our 12/13 year old cat Sydney to Dr. Tucker for acupuncture and cold laser therapy treatments. Sydney had been suffering with arthritis pain but we couldn't figure out where it was. Dr. Tucker did an in-depth evaluation and found it to be in her back neck, so her range of motion up and down was non-existent. After the first session, we noticed her to be more comfy and relaxed. She slept better than she had in weeks! She's finishing up her 6th series today, October 27th, and we are so happy at the difference it's made. We used to have to give her neurontin on a regular basis but with her treatments it's [now] only once in a while. 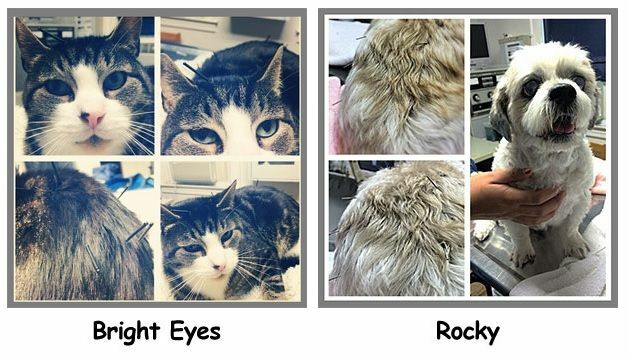 I STRONGLY recommend acupuncture and laser therapy to any animal struggling with pain, stress, or a disease. Dr. Tucker is amazing- the while team made us very comfortable."